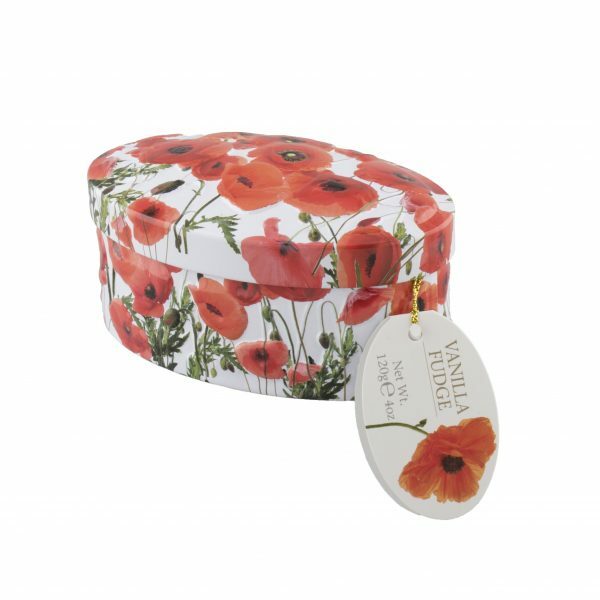 Our beautiful wild flower tin of vanilla fudge is great present or gift for someone special. 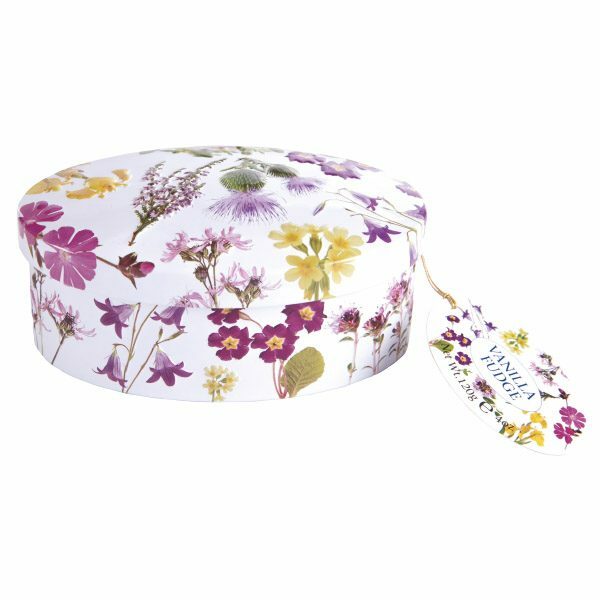 The detailed and embossed tin contains our world famous Gardiners of Scotland Vanilla Fudge. Made to a traditional recipe and handmade in the heart of Scotland.